A young woman uses her brains to escape a dysfunctional family in "The Glass Castle." 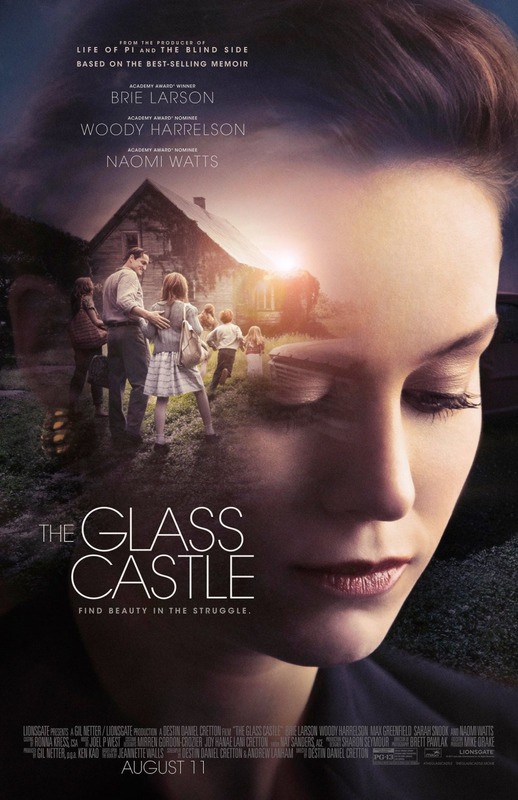 Based on Jeannette Walls' autobiography, "The Glass Castle" cuts between Jeanette's life as a sophisticated New York writer engaged to an investment banker and her nomadic childhood. Woody Harrelson plays Jeanette's overbearing father, a bigger than life personality, who insists on home schooling his children as he roams the country with their artist mother (played by Naomi Watts.) Settling down in his West Virginia home town, things go from bad to worse, thanks to the influence of an abusive grandmother combined with poverty and drunkenness. I got a knot in my stomach watching one abuse after another. Even as an adult, Jeanette's family continues to appear intent on sabotaging her more successful life. "The Glass Castle" combines strong performances, including Brie Larson as the adult and Ella Anderson as her younger self. The production looks good and the story unfolds with tension and interest; but a turn at the end, lost me. New information and kind memories appear in a way that feels manipulative, undermining a strong story with weak sentiment. "The Glass Castle," 1 star, rated "R." Does it deliver what it promises? Hard-to-watch childhood memoir. Is it entertaining? No. Is it worth the price of admission? If you really care about coming to terms with an abusive childhood, read the book and avoid this movie.